Dr. Tao Wu has received the B.S. degree from Zhejiang University in 2007 (with honors), and earned his M.S. and Ph.D degrees from University of California, Los Angeles in 2009 and 2011, respectively. After graduation, he worked as a Process TD Engineer in Intel Corp. (Hillsboro, OR), focusing on high-k metal and low-tempe oxide deposition using Atomic Layer Deposition. From 2014/08 to 2015/06, he was a Post-Doctoral Researcher in Prof. Roger T. Howe’s group, Stanford University and leading a Google ATAP funded monocentric imager project. After that, he worked as a Post-Doctoral Researcher in Northeastern University leading a DARPA funded Nero-Zero sensor project using AlN RF transformer/resonant-switch. He joined ShanghaiTech University in 2017/07 as an Assistant Professor, and PI of Shanghaitech Microsystem and non-Linear transducers Laboratory (SMALL) . Jiye Yang received the first B.S. degree from Shanghai Institute of Technology in 2008 with major in Safety Engineering (with honors), and later he earned his second B.S. degree and M.S. (Diplom-Ingenieur) from Dresden University of Technology in 2017 with major in Microelectronics (with honors). From 2015/04 to 2015/10, he studied with Prof. Bartha in Institute of Semiconductor and Microsystems Technology for characterization of high-k films grown by ALD. From 2015/10 to 2016/10, he worked as a Research Assistant with Dr. Gloess, focusing on sputtering and PECVD for metallic nanoparticle and protective layer. From 2016/8 to 2017/05, he studied with Prof. Bartha to investigate lead-tin and tin-silver flip chip bumps in 3D chip. 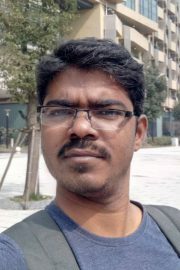 Since April 2018, he works as a Research Assistant in SMALL. Dr. YADAGIRI KARAMPURI earned his PhD degree in Physics from Indira Gandhi Centre for Atomic Research, HBNI University, Kalpakkam, Tamil Nadu, India. 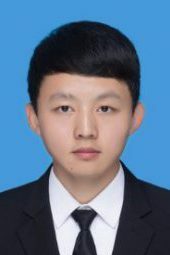 He joined SMALL in 2019/03 and his current research topic is multiferroic materials and transducers. 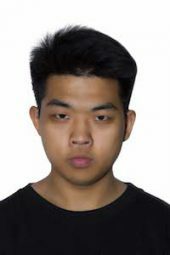 Shuai Shao earned his bachelor degree from Xidian University 2018 and joined ShanghaiTech University as a visiting student in 2017 and graduate student in 2018. From 2015/3 to 2017/6, he has finished College Students' innovation and Entrepreneurship Project as a leader. His current research interest is multiferroic transducers and non-reciprocal devices. 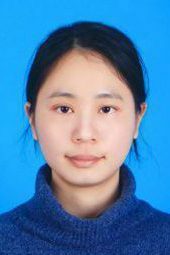 Yuxi Wang earned her bachelor degree from Anhui University Of Technology and joined ShanghaiTech University as a graduate student in 2018. She won the first prize at "TI Cup" Anhui Province eleventh college students electronic design competition in 2016. Her current interest is on multiferroic transducers. 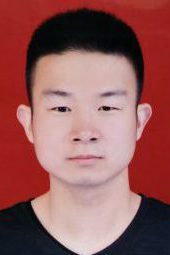 Yipeng Liu earned his bachelor degree at Hefei University of Technology and joined ShanghaiTech University in 2018 (in collaboration with Prof. Tie Li in SIMIT). From 2015/3 to 2016/7, he joined the robotics college laboratory in Hefei University and won the first prize at The Seventh RoboCup of Anhui province. His current research interest is on nanotechnology and transducers. 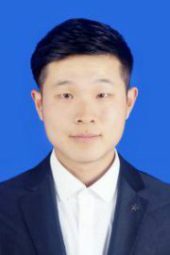 Jinbo Wu earned his bachelor degree from Hefei University of Technology in 2017 and joined ShanghaiTech University in 2018 (in collaboration with Prof. Xin Ou in SIMIT). 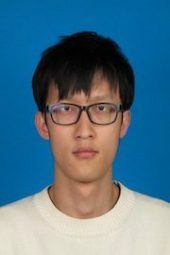 From 2015/10-2016/01, he has participated in the Professor Luo Linbao’s research project Photoelectric Detector Experiment on Topological Insulator. His current research interest is on XOI technology and transducers. Kangfu Liu has received the B.S. 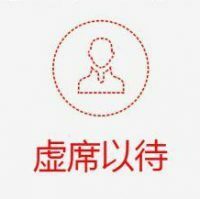 degree from the Xidian University in 2018. From 2017/11 to 2018/5, he learned with Prof. Junrui Liang about vibration energy harvesting circuit as a visiting student. 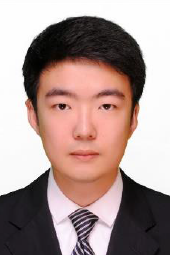 He joined ShanghaiTech University as a graduate student (in collaboration with Prof. Junrui Liang). His current research interest is on RF piezoelectric resonator and energy harvesting devices. 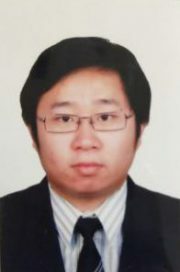 Liu, Yushuai earned his bachelor degree from Chengdu University Of Technology and joined ShanghaiTech University in 2019. From 2016 to 2018, He worked in Professor Lu Congde's geophysical signal processing lab. He has completed two national and provincial college students innovation projects and won multiple scholarship/awards in Chengdu University of Technology. 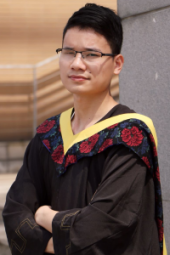 Zhifang Luo earned his bachelor degree in SPST of ShanghaiTech University and joined SIST in 2019. From 2016/10-2018/07, he learned with Prof. Chen in ShanghaiTech University about X-ray and Optics for nano and energy related materials. He won the Outstanding Student Award. He joined SMALL as a undergraduate student in 2018 and continues graduate study on multiferroic transducers. 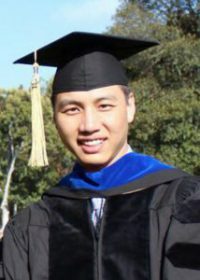 Gang Yue received his bachelor degree from Lanzhou University in 2018 and joined ShanghaiTech University in 2019 as a graduate student. He earned the Outstanding Scholarship of Lanzhou University three times from freshmen to junior year. His current focus is on the piezoelectric MEMS resonators.